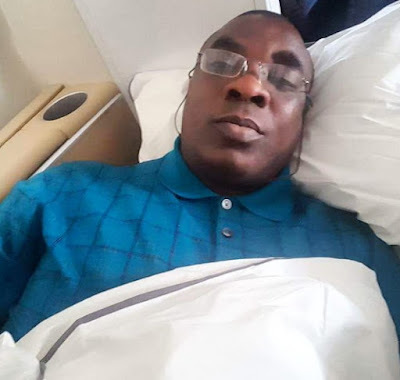 Popular Fuji King Wasiu Ayinde Marshal aka Kwam 1, has urged fellow rich Nigerians to enjoy life, while it lasts. The talented and melodious singer shared the piece when he posted a photo of himself on Instagram in an aircraft’s first class. “Honestly we need to discuss this, why people use the word “OLOWO LOMA KUUREE”. That evening I felt proud when Alani came out with his wife then, my darling sister Hadja Basirat Abimbola Dada to say they were my host on that trip.. Why because, how come a man flying on First Class could not properly describe where he was going.. Honestly “OLOWO LOMA KUUREE” But the truth of it is that, many have that money but either refused to spend it for a best reasons known to them or just out of “STINGYNESS” King of World Beat ( King Sunny Ade ) has said it in one of his beautiful songs & it goes thus “OLOWO AA JOGUN OWO, AA JOGUN IYI, ATUN DII GBAJUMO LODE, ASIRI WON ONI TUU” conclusion my people, please spend your money well and remember you will not go to heaven with a kobo out of it….